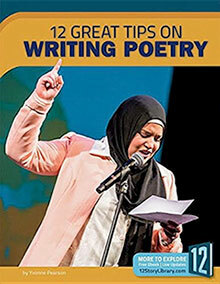 This book gives information on how to write poetry in twelve manageable portions. Examples, writing prompts, and checklist summaries help readers apply their knowledge effectively. 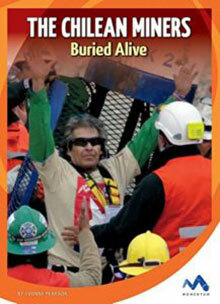 Learn the miraculous story of the 33 Chilean miners who survived being trapped underground for 69 days. 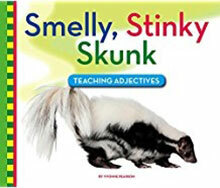 Additional features to aid comprehension include a table of contents, fact-filled captions and sidebars, a glossary, sources for further research, and a listing of source notes. Learn about adjectives through easy, engaging text and colorful photographs. 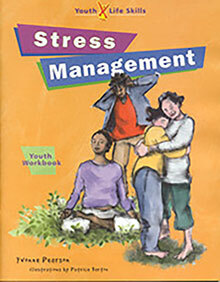 Additional features to aid comprehension include logical narratives, bolded key words, detailed photographs, an answer key, and sources for further research. 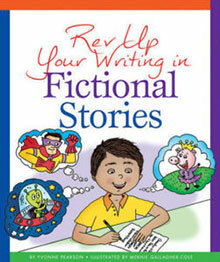 Presents an overview of fictional stories, including the form's purpose, elements, traits, and how it expresses ideas. 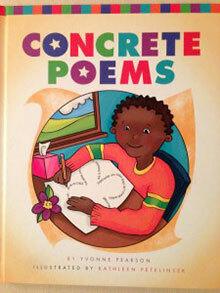 Presents an overview of concrete poems, including the form's history, elements, and traits and how poets use concrete poems to express ideas. Stand out, fit in, grow up, just wait—the pressures are everywhere, the stress is intense, and you have a few other things on your mind. This workbook will help you discover and develop the tools you'll need to stay cool and keep moving. Stress can be good or bad, and exercises building on familiar, everyday situations will show you how to tell the difference and how to respond accordingly. You will also hone your own skills for avoiding stress or meeting it head-on, reducing it or making the most of it—skills that won't make life easy, but should make it easier.